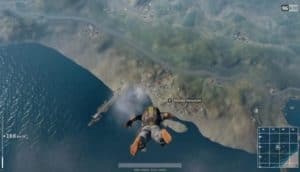 PUBG Update Will Include Two New Maps | Nerd Much? The developers of PUBG have revealed their update and content plans for 2018, including two new maps, emotes, and so much more. Up first is a 4x4km island map that the PUBG team is hoping to implement soon. The idea is force faster and more intense matches, really get everyone moving and always in contact with other players. The preview of this map has plenty of varying terrains that can either make it very bad for the players involved or very good. For example, rice fields are included and they are probably deep enough to hide in. If you’re the sniper type, it would be most advantageous to sit at the highest tier in the field and gun down your opponents from there. Later on, there will be an 8x8km map, though there are no details on this one yet. Up next are emotes. The developers show us only two, laughing and something like angry disappointment. But as we can see on the wheel, there are plenty more in the works. These will really help players communicate with each other that might not be on same voice chat. Who knows, teams might form, or some really hilarious memes. The PUBG developers are working on new game modes as well, but they are unable to share details quite yet. New vehicles and weapons are coming too, with at least one of the latter being a rifle. Other exciting features that will be coming soon include achievements, in-game friends list, squad voice chat in the main menu, limb and vehicle bullet penetration, and a complete overhaul of animation and parachuting systems. They plan to optimize sound and insert a few more choice details to make the game even more immersive. Furthermore, the developers will be introducing a custom game system, where players can really fine tune their experience of the game in quality of life and accessibility. If you are looking forward to these update, keep in mind you have to keep that feedback coming on everything new they try in the game.